A Liberal's Libretto: 'Hair' goes dark - but, just for a day. 'Hair' goes dark - but, just for a day. 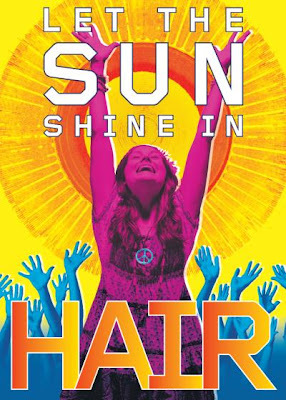 In an unusual move for a Broadway show, the producers of the musical “Hair” announced on Monday that they were canceling the Sunday matinee on Oct. 11 so that the cast could join the National Equality March that day in Washington in support of gay-marriage rights. Oskar Eustis, the artistic director of the Public Theater, a producer of “Hair,” said that the decision reflected the spirit of the musical. “Its message of change and hope and inclusion is one we try to live, not just preach,” he said in a statement. Monday’s announcement was made at a rally in Los Angeles after the “Hair” cast taped a segment there for “The Tonight Show With Conan O’Brien.” A spokesman for “Hair” said the producers were adding a performance for Monday, Oct. 5. People who have tickets to the Oct. 11 matinee can exchange them for another performance.